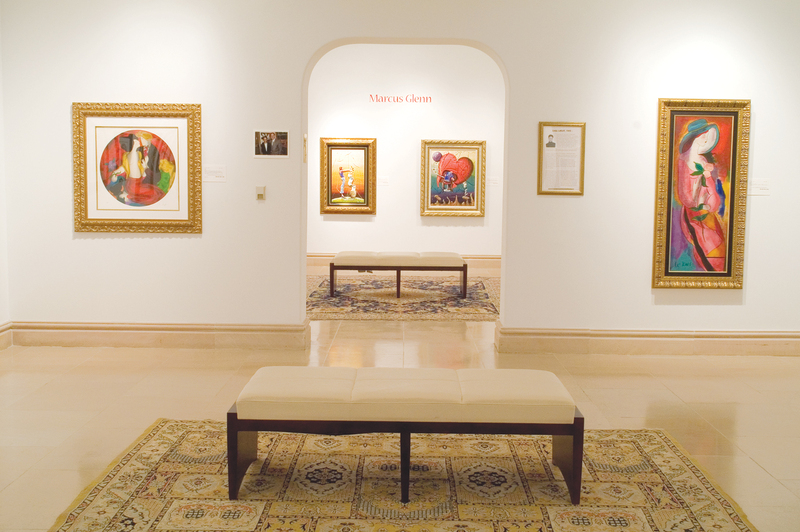 Park West Gallery works with artists from all over the globe, so in honor of World Art Day, we are taking a trip around the world to show where some of our artists were born and how their surroundings and travels inspire their artwork. 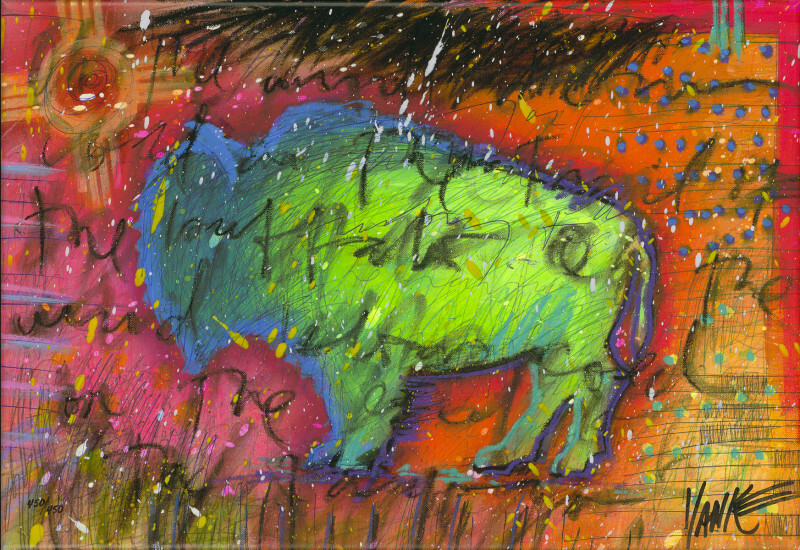 “Wind Blows Cold” (2014) by Tim Yanke. Detroit-based Tim Yanke fell in love with southwestern United States culture and artwork during visits to his sister in Arizona. This inspired him to create his “Neo-West” style, using bold, bright colors and Native American patterns. His fascination even extended to creating a series of painted buffalo skulls, which he collected during trips to the Southwest. 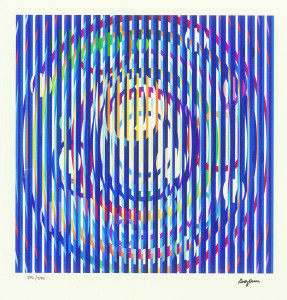 “Sun and Moon Galaxy” (2007) by Yaacov Agam. Yaacov Agam was born in Rishon LeZion, studied art in Jerusalem, moved to Zurich in 1949 and finally settled in Paris in 1951. 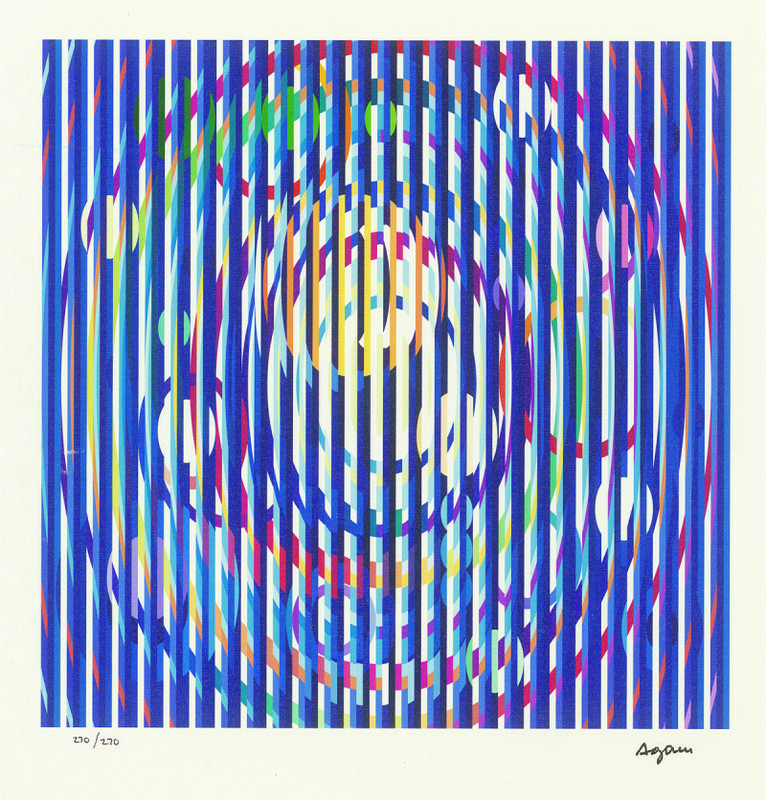 As the son of a Rabbi and Kabbalist, Agam incorporates Kabbalah into his kinetic artwork, and compels people to physically move when viewing his art, invoking the fourth dimension of time. His artwork is seen in public places all over the world, including a sculpture titled “Peaceful Communication with the World” in Taiwan, the world’s largest menorah in New York, and other works in Tel Aviv, Chicago, Paris and Strasbourg. 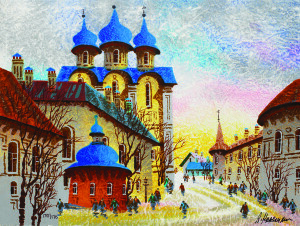 “Cathedral in Spring” (2008) by Anatole Krasnyansky. Anatole Krasnyansky, born in Kiev, Ukraine, was an architect and watercolorist in the USSR before leaving to live in the United States in 1975. He created traditional cityscapes based on locations in Europe, but also developed a second, more abstract style influenced by his experiences and life in America. The style is almost surreal, but includes echoes of his heritage. “Interior with Leger” (2002) by Fanch Ledan. “Evening Watch” (2012) by Andrew Bone. Andrew Bone, born in Zimbabwe, Africa, is quoted as saying “don’t paint it unless you’ve studied it, been chased by it, or done something to save it.” Bone attended a bush school, served in the National Service and became a guide for visitors exploring the Zambezi Valley. 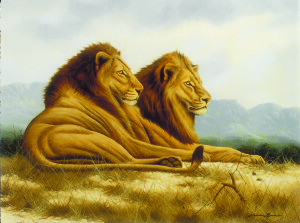 All of this gave Bone a deep love for African wildlife, which is reflected not only in his detailed artwork, but also in his conservation efforts. 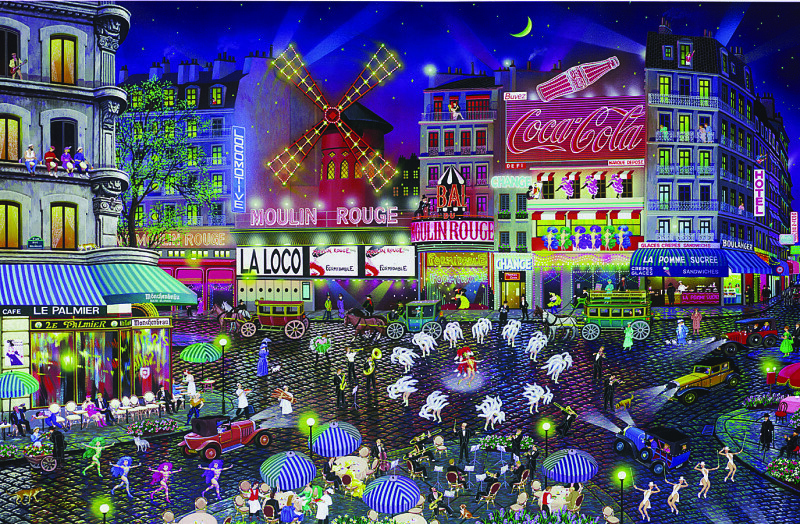 “Moulin Rouge” (2003) by Alexander Chen. Alexander Chen, a native of Guangzhou, China, was moved by “Around the World in 80 Days” as a teenager, inspiring him to travel the world. He studied art in China and moved to San Francisco in the 1980s with his family. His journeys around the U.S. and other countries such as Greece, Thailand, Egypt and England inspired his hyperrealist-style paintings of famous locales. World Art Day is the international celebration of the fine arts as declared by the International Association of Art. The first day was held on April 15, 2012, to increase awareness and creativity worldwide. April 15 was chosen in honor of the birthday of Leonardo da Vinci.